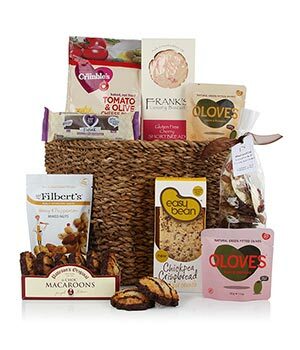 Your recipient's dietary requirements certainly won't get in the way of delicious gift-giving with this hamper, full of treats suitable for Gluten and Wheat free diets, this is a truly thoughtful gesture. Our speciality diet hampers have been produced to cater for a specific dietary requirement. Whilst every effort has been made to ensure that this hamper is suitable for that dietary requirement, we would urge your recipient to closely observe the individual nutrient and allergen information which exists on all of the individual components of the gift, prior to consumption. We regret that we cannot be held responsible for any adverse consequences that occur as a failure to check correctly labelled individual food products.